Sources for Nicholas Dorsey Jr.
1 Daughters of the American Revolution Genealogical Research System, Ancestor #A033238. 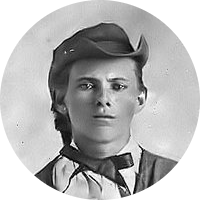 2 Beamis, Joan M. and William E. Pullen, Background of a Bandit: The Ancestry of Jesse James, 2nd Edition , Unknown: Unknown (1971), 62-63, FamilySearch.org (Online Database). 3 Dorsey, Maxwell J., et. al., The Dorsey Family: Descendants of Edward Darcy-Dorsey of Virginia and Maryland for Five Generations and Allied Families, Unknown: Unknown (1947), 64, Ancestry.com (Online Database). 4 Roberts, Gary Boyd, Notable Kin, Volume 2 , Santa Clarita, California: Carl Boyer, 3rd (1999), 95.